For many of us, the dividing line between work-life and home-life isn’t as defined as it once was. More people are working from home, either full time or part time, and the concept of 9-to-5, no exceptions, is quickly leaving the modern workplace. We don’t want to miss soccer games and piano recitals; we want the flexibility of getting the work done at times that work best for us. But the blurry lines affect more than just having a flexible work schedule; it also affects our ability to determine what is appropriate to share with our co-workers, clients and customers, and on social media. If we never share anything about our personal lives at work, we’re seen as distant and hard to read. If we share too much, we’re seen as having no boundaries. Where is the balance? I’m a firm believer that people want to know whom they’re doing business with. They want a sense of your values, your interests, and even your family life. It makes them feel more comfortable and more confident in working with you; they don’t want to feel like you’re hiding something. But it’s also important to be selective and mindful of what you disclose and how much, especially when it comes to social media. What are the brand values you want to convey? What aspects of your personal life reinforce those values? For example, if you advocate for the “laptop lifestyle,” then sharing photos and stories from your travels would reinforce that brand, whereas if you worked with corporate clients on navigating their workplace, that content may have them doubting your ability to relate to their environment. As an entrepreneur, I share content from the #remotelife and am open about my flexible schedule, and now that I’m consulting and collaborating with more work-at-home moms, I’ve become more open about my family life. My wife is an advocate for parents to have meaningful roles within a corporation, so she leads by example and makes it known when she’s taking off early to go to an event at our son’s school or for a doctor’s appointment, rather than quietly blocking off her calendar and sneaking out of the office. She’s also passionate about philanthropy, so she openly shares about her activities with the Ronald McDonald House and other charities, and isn’t shy about including her company in her volunteering and fundraising efforts. Completely separating your work-life and home-life is a disservice to your professional relationships, but so is removing the filter completely. 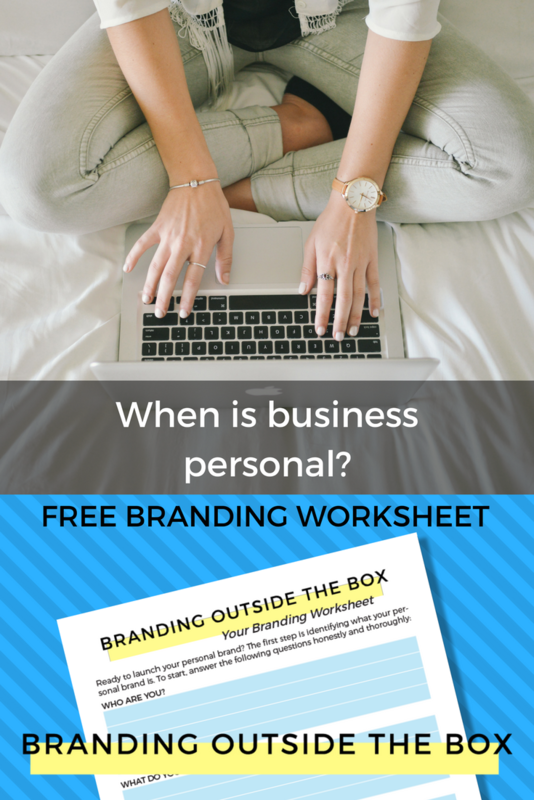 Open up about the aspects of your private life that reinforce your personal brand and your brand values, and anything that doesn’t, you can keep to yourself. 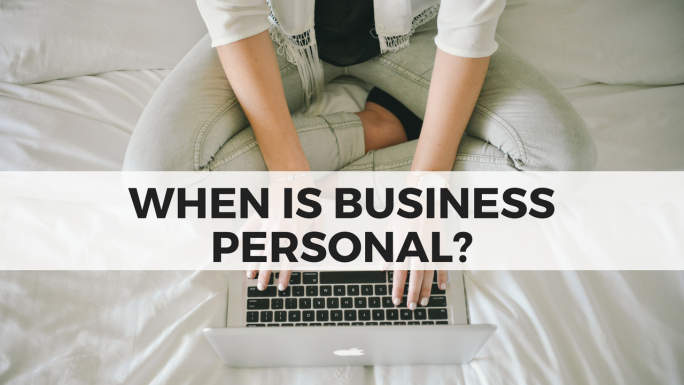 Still not quite sure what personal content you should be sharing in your personal life? Check out this blog post: Developing a Content Strategy for Your Personal Brand.